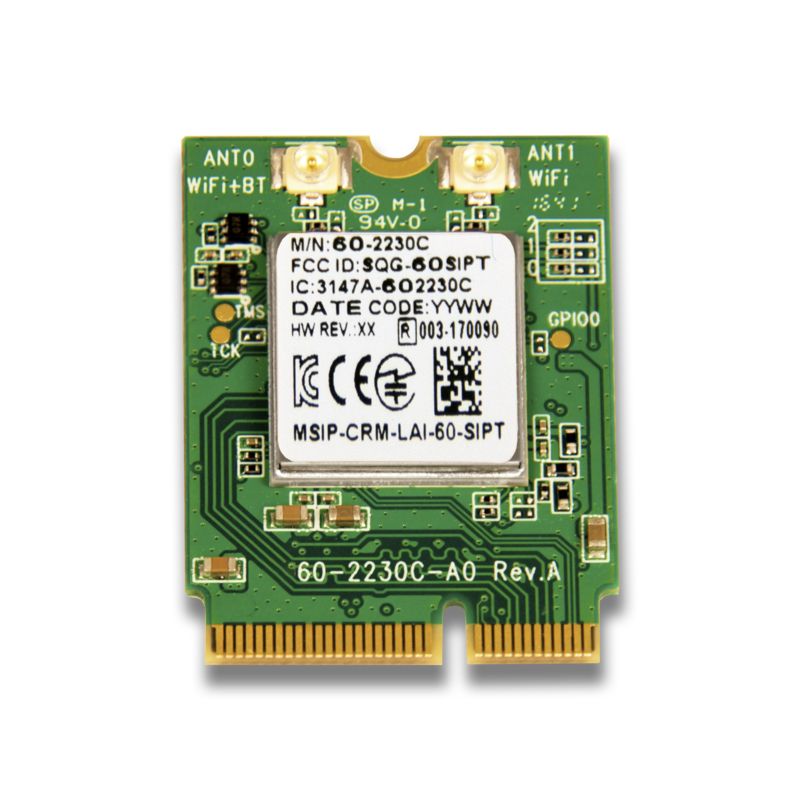 Powered by the powerful Marvell 88W8997 chipset, Laird Connectivity’s 60-2230C Series Wi-Fi + Bluetooth modules achieve the best possible connectivity and performance in any RF environment. With industry-leading software, broad OS support, and M.2 form factor, Laird Connectivity’s 60 Series offers flexibility to meet your needs. The 60 Series introduces 802.11ac, 2x2 MU-MIMO, Bluetooth 4.2 and Bluetooth 5 ready hardware on one lowpower module, delivering future-ready cutting edge technology for your product. Building on the security and robustness inherited from Laird Connectivity’s expertise in its 40, 45, and 50 Series modules means ultra-high data rates, improved performance, and the most reliable wireless in crucial applications such as medical and industrial.